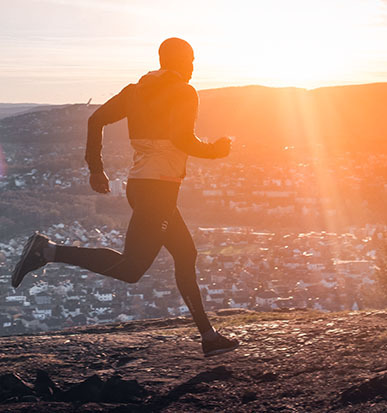 While the new year is well underway, the winter training you started in 2018 is still as important. 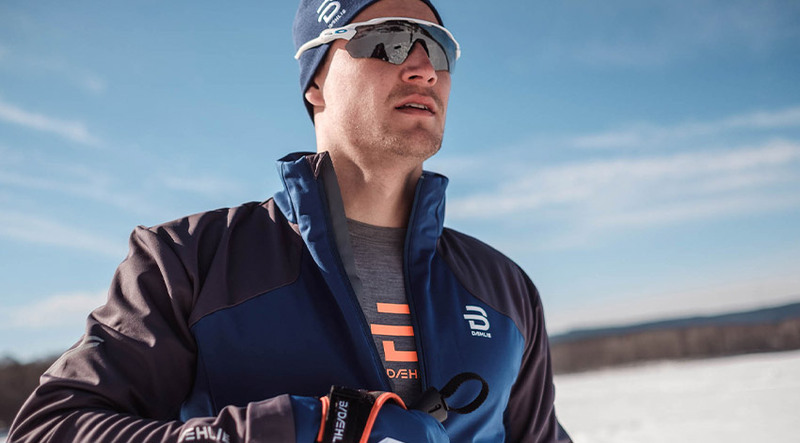 Whether you ski or run in the cold, wearing the right amount and right kinds of layers is important. The weather conditions and your intensity are main factors to consider when deciding which clothes to wear. Always start with the right base. You have two options to choose from: synthetic or wool fibers. 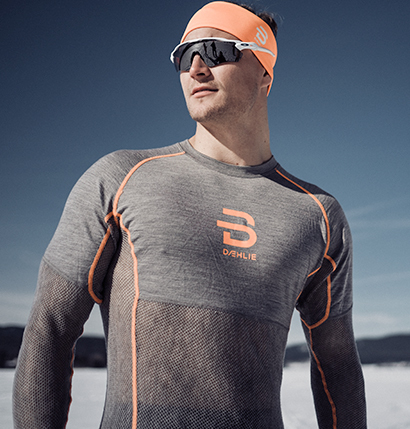 Synthetic baselayers like Dæhlie’s Training Tech are light and specifically designed for intense workouts and competitions. The fabric’s moisture-wicking properties will keep you dry and warm. Strategically placed mesh panels and elastic seams will also give you optimal ventilation and mobility during high-intensity workouts. Wool baselayers like Airnet Wool are 100% merino wool with a net structure knit which give a high level of insulation and optimal temperature regulation. Merino wool guarantees a good insulation from the elements during lower intensity workouts but still manages to effectively evacuate excess humidity during harder workouts. Spend a bit of time choosing the right baselayer, as what you wear closest to your skin will heavily affect the effectiveness of the upper layers. 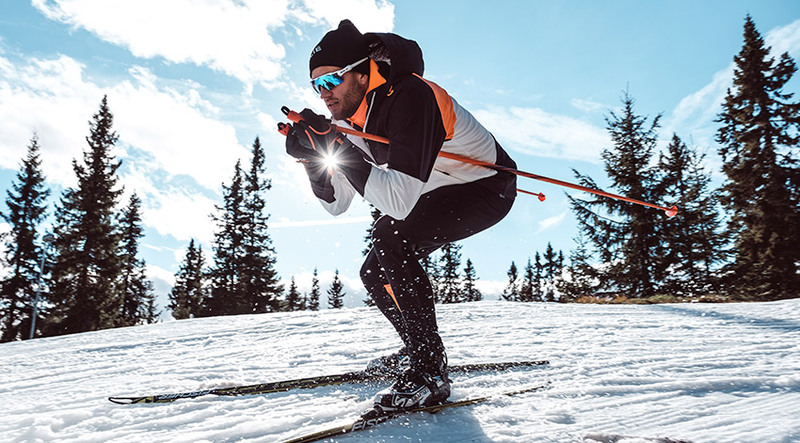 Choosing the right baselayer is as important as waxing your cross-country skis correctly. What you wear above your baselayer is also determined by the temperature and the intensity of your workout. Other than that, it is important to figure out what you feel most comfortable or fastest in. There is a wide array of different kinds of cross-country skiing jackets available. Make sure you find a jacket that matches your level of activity. It should be light and have good ventilation panels under the sleeves and the back so that, again, moisture is evacuated and you get ventilation in. 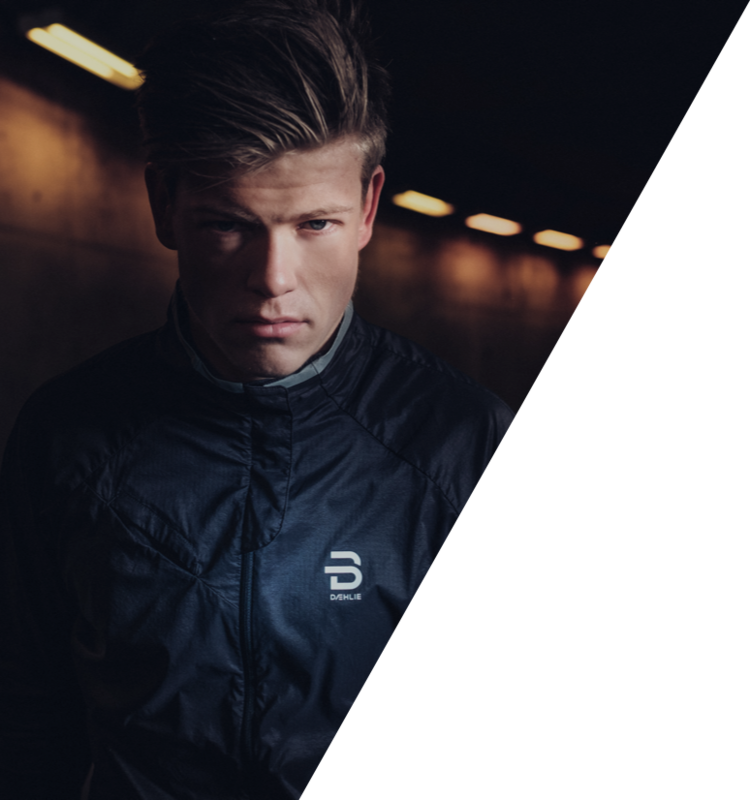 A “fast” jacket, one used for high intensity workouts, will be tight-fitting, very light and have good ventilation panels. The Trace jacket is a typical “fast” jacket. With extra-cold weather, it is smart to choose a jacket with multiple layers. A jacket developed specifically for this kind of purpose is the RAW 3.0 jacket. The jacket has a removable vest incorporated with stretch-wool in the back. Strategically-placed panels in the jacket itself also contain wool for an optimal temperature control. If you’re looking for a lighter jacket for cold temperatures, the Legend jacket is a very good alternative. If you are looking for more tips, our pants guide will help you figure out which pants are the best for you. The main guidelines for pants are to choose fairly light ones with water- and wind-proof components on the front. The fit and flexibility of the pants are also factors to consider when you buy pants. If you do not need to pull the pants over your ski boots, you should consider cross-country pants which do not have zippers and are a bit tighter on the body than normal cross-country ski pants. Our best recommendations would then be the Flow pants and the Determend pants. Layering is a very important principle to understand to be able to regulate your temperature during a workout. Dressing well is vital in ensuring that you spend your energy in the right way as it can, in the worst cases, make you lose energy you should be spending on the activity itself. 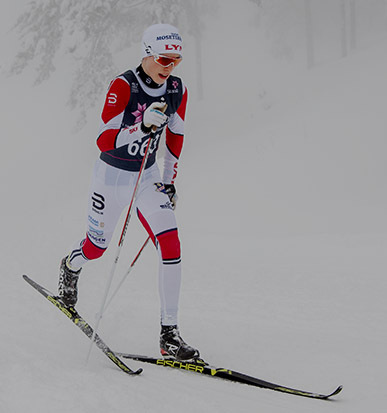 Appropriate clothing allows you to use your strength for what’s most important to you: go fast on your skis! A good hat and gloves which grip well and keep your hands warm are also essential for an optimal workout or race. Remember that the head can quickly account for more than half of the body’s heat loss. Good luck and we hope that your winter training will go according to plan!